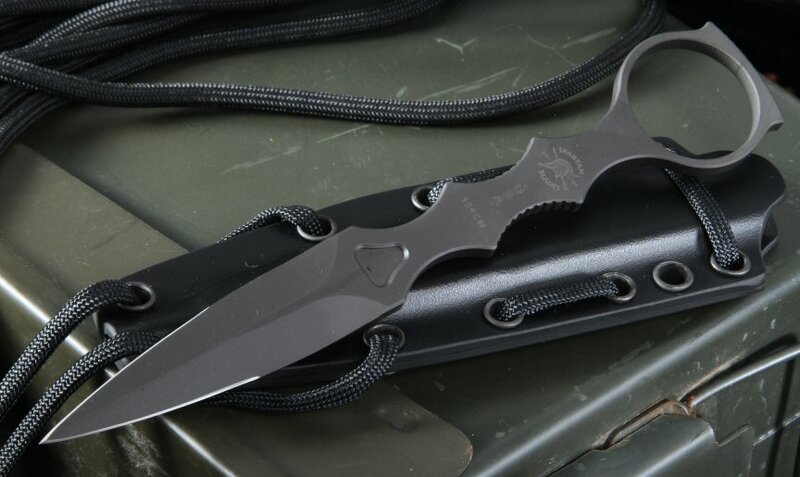 The Spartan CQB tool is a compact last ditch close quarters self-defense knife. The CQB was designed by Greg Thompson, who trained with the U.S. Special Operations Forces and designed their new combative's program. 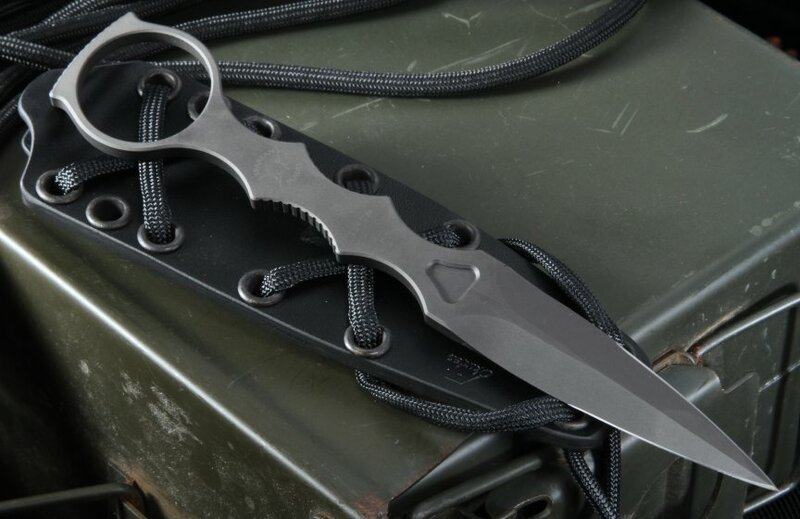 The fixed blade dagger has an overall length of 7inches and is designed with the ring feature in the handle to allow the user to move the knife from grip to grip in a fluid motion. 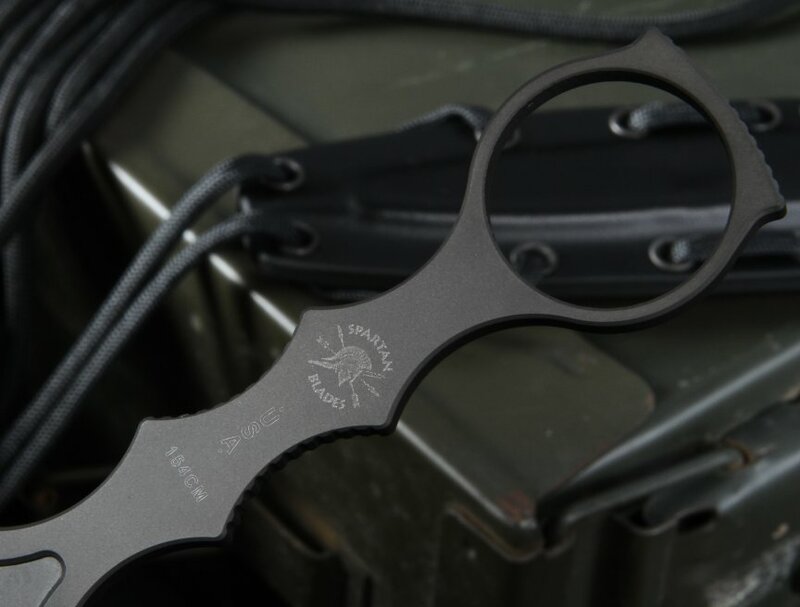 The black CQB fixed blade is entirely made from 154CM stainless steel with a matte, antireflective Diamond Like Coating (DLC), the Spartan guys call it Spartacoat. The double sided blade on this knife measures 2.8 inches long. The CPM 154, American-made steel is heat treated to a Rockwell Hardness of 57-59. The blade is only sharpened to the first 1.5 inches from the tip, that allows the user to really gain maximum control of the knife. The steel thickness is a stout 0.18 inches. The handle is ergonomically shaped for easy and tight gripping, even when deploying the knife from its sheath quickly. 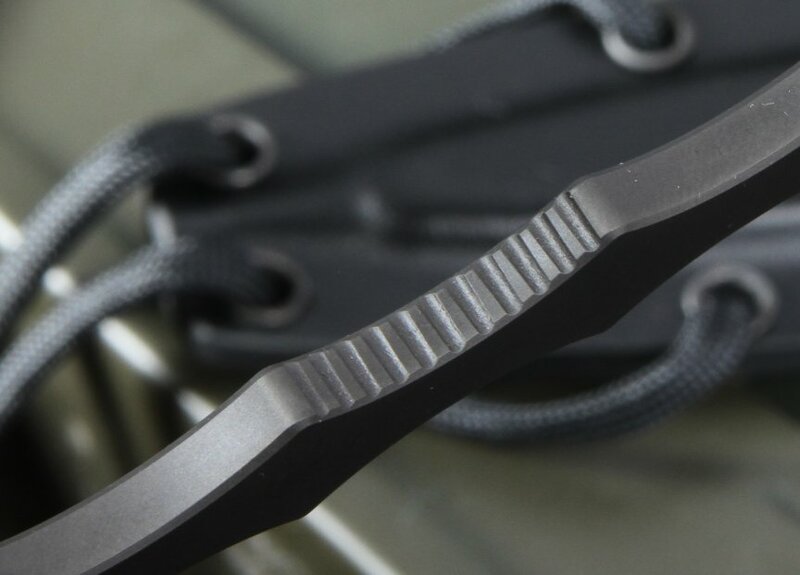 The tactical tool comes with a black Kydex sheath. By ordering your Spartan Blade from KnifeArt, you have ensured a quality, authentic knife from Spartan Blades. We will also ship your Spartan CQB for free on the same day you order, with our satisfaction guaranteed policy. After almost 20 years in business, we have this covered! BLADE MATERIAL: Stainless 154CM Steel -SpartaCoat, DLC Diamond Like Coating (Black) - the first 1.5" are sharpened.